The World Bank, one of the very first multilateral global financial institutions, was founded to facilitate reconstruction of European nations after the end of World War II. Since its founding in 1944, the bank has grown to include nearly 200 member nations. Its mission has also expanded to address extreme poverty through grants, loans, financing guarantees, and risk insurance to enable governments of developing countries to make capital improvements at concessionary rates and incentivize private sector investments in those countries. The mandate of the World Bank Group is poverty alleviation. When people talk about the World Bank, they are usually referring to the International Bank for Reconstruction and Development (IBRD) and International Development Association (IDA). These two institutions provide low-interest loans and grants directly to governments and the public sector for specific projects or initiatives to encourage economic growth. The current environmental and social policies of the World Bank are known as the “Safeguard Policies,” which govern the addressing of environmental and social issues in project design, implementation and operation, and provide a framework for consultation with communities and for public disclosure. In August 2016, the World Bank adopted a new set of environment and social policies called the Environmental and Social Framework (ESF). As of 1 October, 2018, the ESF applies to all new World Bank investment project financing. With existing projects continuing to apply the Safeguard Policies, the two systems will run in parallel for an estimated seven years. Mission: End extreme poverty within a generation and boost shared prosperity. The Inspection Panel assesses allegations of harm to people or the environment and reviews whether the bank followed its policies and procedures. The Inspection Panel may only investigate projects financed by the public sector branches of the World Bank Group: IBRD and IDA. The Inspection Panel’s mission is to conduct compliance investigations regarding whether the bank complied with its own policies and procedures. It is the only major accountability office that does not also have a dispute resolution function. Because the World Bank argues it is immune from being held accountable in courts around the world, the Inspection Panel remains the only formal way for people harmed by the World Bank to hold this institution accountable. Since its inception, the panel’s independence has been challenged by those who would prefer that the bank operate with impunity, as it did from its founding after World War II up until 1994. We are working to ensure that the Inspection Panel stays independent, improves its effectiveness, and remains a robust tool for communities to seek accountability for bank operations. The panel receives requests for inspection directly from people harmed, or who believe they are likely to be harmed, by World Bank projects or programs. Requests for inspection should describe the harm or expected harm to project-affected people or the environment as a result of the World Bank’s failure to comply with its own policies or procedures. If your complaint is eligible, the panel will investigate the bank’s compliance and issue a report to the bank’s board. Bank management will respond with an action plan to address any findings in the report of the bank’s non-compliance. In the end, the bank’s board decides what action the bank will take in relation to the project. For more information, see our brochure on the Inspection Panel (with SOMO), our Accountability Resource Guide, or visit the Inspection Panel’s website. Accountability Counsel has been working to ensure that the World Bank’s accountability office, the Inspection Panel, is fully effective. Our work has included advocacy to address structural gaps that that impede the full functioning of the Panel as well as advocacy to ensure that the bank appropriately responds to Panel’s work, facilitates remedy for harmed communities, and implements lessons learned for future projects. As a result of our advocacy, the Panel has increased the transparency and fairness of the complaint process. We are also currently engaging with the bank’s board on expanding the Panel’s “toolkit” for addressing complaints. On 30 September, 2018, Accountability Counsel submitted joint comments with partners to the working group of the World Bank board’s Committee on Development Effectiveness (CODE) on the review of the Inspection Panel’s toolkit. Our comments addressed seven issues flagged by the bank’s notice, including advisory services and the monitoring of the implementation of management action plans after a compliance review investigation. More information can be found here. On 31 October, 2018, the bank’s board approved some changes to the Panel’s toolkit, including by formally recognizing the Panel’s advisory role and providing complainants with additional information. Unfortunately, despite this progress, the board has postponed decisions for six months on critical changes concerning the monitoring of management action plans, the extension of the time limit on eligibility of requests, and the addition of a dispute resolution function that is independent of bank management. On 14 January, 2019, Accountability Counsel and 66 partners around the world sent a statement to the World Bank Group board of directors expressing disappointment in the delays and urging it to ensure that the Panel has all the necessary tools to effectively address communities’ complaints and facilitate accountability and remedy for harm caused by World Bank projects. Accountability Counsel will remain actively engaged as these deliberations continue. On 25 April, 2017, Accountability Counsel and several partners sent a joint letter to the World Bank’s board of directors calling for the participation of external stakeholders, including civil society representatives, in the selection process for a new Inspection Panel member. The new member will replace Zeinab El-Bakri, whose appointment ends on 31 December, 2017. As the World Bank’s accountability office for public sector investments, the Inspection Panel serves an important oversight and redress function for the bank. In order for the panel to be seen as legitimate, the mechanism as a whole, as well as the individual panel members, must be independent in both perception and reality. Currently, the bank’s procedures do not provide for the involvement of external stakeholders in the selection of new panel members. Rather, a selection committee presents names of qualified candidates to the World Bank Group’s president, who in turn nominates a candidate for approval by the bank’s board. The 2017 selection committee unfortunately consisted of two board members and two members of bank management, undermining the panel’s legitimacy and independence. The letter called for the bank to follow the hiring practices at several other international financial institutions — including the Japan International Cooperation Agency, the Japan Bank for International Cooperation, the International Finance Corporation, the European Bank for Reconstruction and Development, and the Inter-American Development Bank — which have included external stakeholders on their independent accountability mechanism staff selection committees. On 22 November, 2017, the World Bank announced the appointment of Imrana Jalal as the new Panel member. Her appointment is effective 1 January, 2018. Anticipating an upcoming vacancy on the Panel near the end of 2018, Accountability Counsel and partners sent a follow-up letter to the bank on 12 December, 2017, requesting that the selection process for the next Panel member appointment incorporate our previous recommendations. As a result of our advocacy, the board made some modifications to the selection process, although the process still needs improvement. On 29 October, 2018, the bank announced that Ramanie Kunanayagam would replace the most recent vacancy on the Panel and begin her term on 16 December, 2018. Accountability Counsel’s reaction to Kunanayagam’s appointment can be found here. Accountability Counsel will continue to advocate that the World Bank protect the independence of the Inspection Panel through transparent and inclusive panel member selection processes. Jan 2019 – Accountability Counsel, and 66 global partners, submitted a joint statement to World Bank’s Board of Directors, expressing disappointment that three important measures were not approved in the initial review of the Inspection Panel’s toolkit. Oct 2018 – The World Bank’s Board of Directors approved some changes to the Inspection Panel’s toolkit. Sep 2018 – Accountability Counsel submitted joint comments to the working group of the World Bank Board’s Committee on Development Effectiveness (CODE) on the review of the Inspection Panel’s toolkit. Apr 2017 – Accountability Counsel sent a joint letter to the World Bank’s Board of Directors, calling for the participation of external stakeholders, including civil society representatives, in the selection process for a new Inspection Panel member. Apr 2015 – Accountability Counsel received a response letter from the World Bank. Mar 2015 – Accountability Counsel led 92 organizations in submitting a letter (also available in French and Spanish) to the World Bank President, calling on the Bank to close all policy loopholes and ensure that its safeguards apply to all bank activities. We also demanded that the Bank consult with civil society during its review of relevant policies. Aug 2014 – Accountability Counsel, and 20 civil society organizations from around the world, submitted a joint letter to World Bank President Kim and Inspection Panel Chair Eimi Watanabe, requesting suspension of the panel’s “pilot program” that prevents cases from reaching full investigations into social and environmental compliance issues. Jan 2014 – Seven highly respected former members of the Inspection Panel, horrified to learn of the proposed changes, took the unprecedented step of sending this joint letter to the panel accusing the current panel members of undermining the panel’s prized independence and effectiveness. The current panel members’ response, dated January 30, 2014, demonstrated their lack of understanding of even the basics of the panel’s need for independence of its secretariat or an interest in its preservation. Sep 2011 – Accountability Counsel submitted P4R comments to the World Bank. Accountability Counsel, and 40 civil society organizations from around the world, sent a joint letter to the Inspection Panel, demanding transparency around any changes to the panel’s secretariat and a commitment to cooling off periods to avoid a conflict of interest. The President of the World Bank also submitted a response to former panel members, briskly discounting their views, and referencing an external review from 2011 that made a recommendation that supports the former panel members’ argument for more independence within the secretariat. The relevant paragraphs of the external review are here. 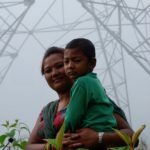 Accountability Counsel, together with the Lawyers’ Association for Human Rights of Nepalese Indigenous Peoples (LAHURNIP), is supporting communities in Sindhuli District who have been forcibly displaced by a World Bank-financed high-voltage transmission line. 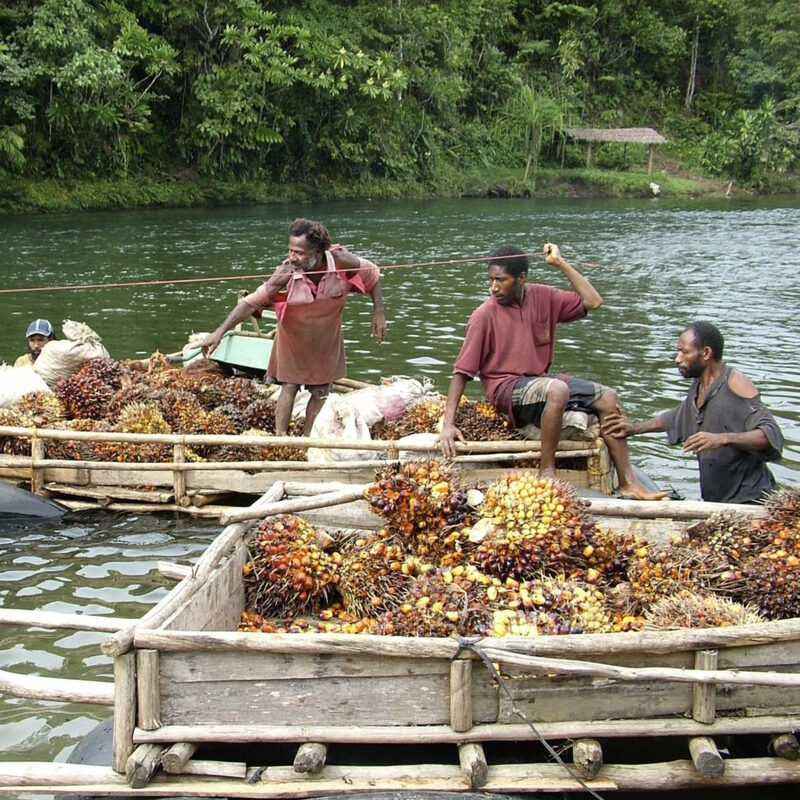 Accountability Counsel and Papua New Guinea-based Centre for Environmental Law and Community Rights (CELCOR) supported indigenous small landowners in filing a complaint with the World Bank Inspection Panel. The complaint detailed violations of bank policy and prompted the Inspection Panel to conduct a full investigation into the project.